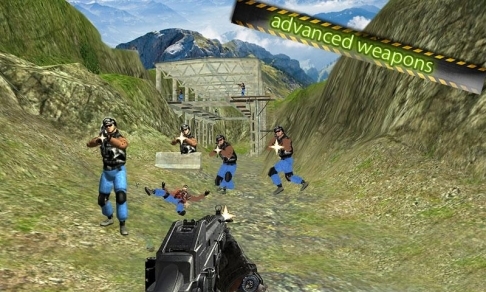 Counter Commando Strike is fps action game which give you a real feel to rescue locals and save their lives as a front line commando with a variety of combat and missions. 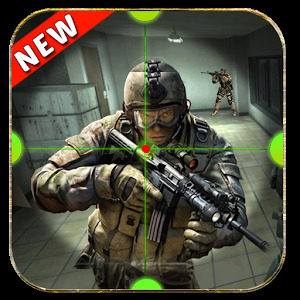 Let's download this elite commando action today and play this action game as a solo solder and a last hope of your nation and clean your land from the enemies attack and their hostage. 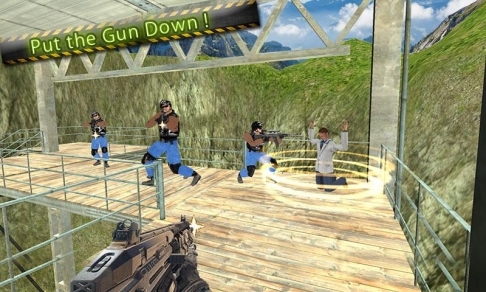 Being an elite commando use swat weapons and take a Headshot and make your battlefield as field of counter strike and kill all the enemies by standing on a Frontline. 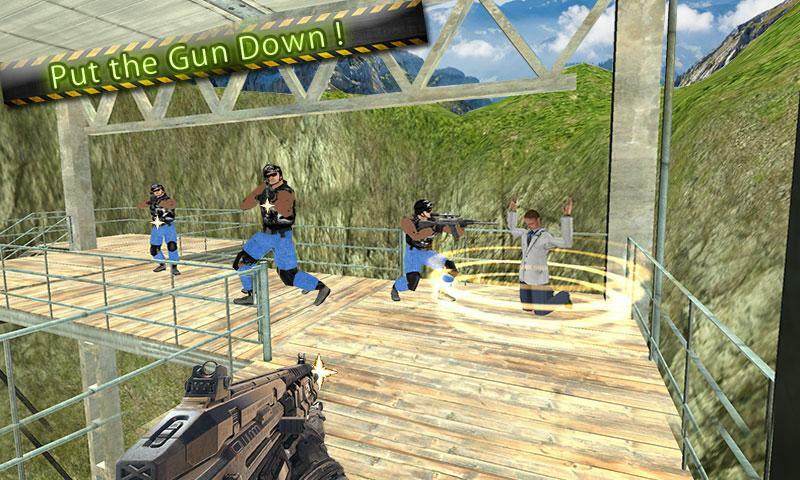 Counter Commando strike is a full action game with loads of challenges and enemy strike. You've to show yourself as a real commando warrior and elite commando fighter for Frontline counter fight and get ready with every step for combat commando shooting. Let's show strategical action to wipe out enemies and their territories with your crazy action rampage and with action of your elite swat sniper. This is absolutely not a dday but the challenges and mission are enough same to d day. So let's heatup the battlefield with your deadly swat elite weapons and shoot every enemy with your gunship action. Before combat make strategy, first shoot all those enemy solder which stand on Frontline and provide theirself as a host of battlefield. So begin your combat commando shooting with a mission of Frontline counter fight and prove yourself as elite commando fighter. Your first mission will lead you towards a battlefield. Enemies are dangerous they seized seniorita and george and other anchors. 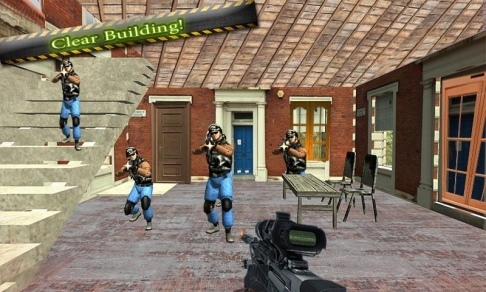 Your mission is to encounter all the enemies by enter into their territory and save all without any harm. Next mission can be a deadly so be save at every step. You're a last hope of your nation. Let's shoot all as solo commando and be a hero of battlefield. Now the real war is ready to begin. After success of your initial mission enemies are ready to take a revenge. Now attack on every enemy pedestrian and smash them with your headshot. Don't let them away. 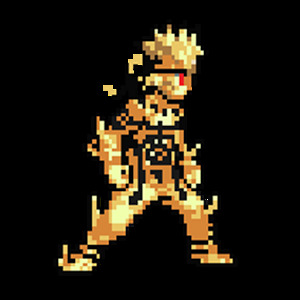 Find each enemy and kill all. But be careful while chasing them. They are quite dangerous and ready to kill you so be careful. 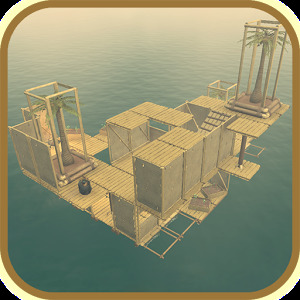 Find the locus of enemies and shoot all enemy commando and provide a rampage to hostage. Save your nation like a real commando warrior and elite commando fighter and take a victory in battlefield of combat commando shooting. Real action and deadly war. fps action and solo commando game. 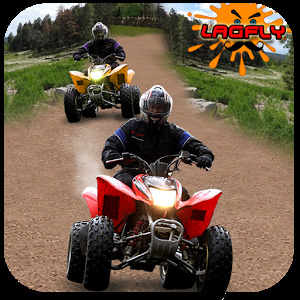 Thrilling graphics and real combat.